The transmission system is the backbone of any electricity supply industry. Here at ESCOM, the transmission division operates the national electricity grid, transmitting power at high voltages over long distances through overhead power transmission lines. Transmission comprises of transmission power lines and substations. The transmission lines total route length is 2,395 km of which 1121 km are operated at 66 kV and 1274 km are operated at 132 kV. The lines are constructed on both wood structures and steel structures. These lines transmit bulk power at 66, 000 volts and 132, 000 volts, and feed power to over 70 transformers which are located at 39 substations in the country. Power transformers step-up generation voltages of 11, 000 volts to 66, 000 or 132, 000 volts for transmission to major load centres where these voltages are then stepped down to 33, 000 and 11, 000 volts for distribution to customers. 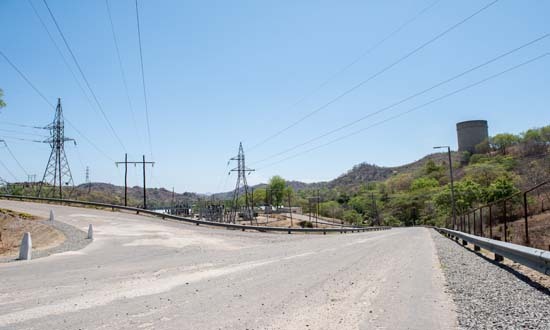 Our transmission network is currently isolated from neighbouring countries; other than supplying small cross-border towns through distribution networks to Mozambique and Zambia.